We've had a quiet week getting back into the routines of normal life. This weekend was spent doing jobs around the house, pottering in the garden and playing, including cleaning the car with my little helper. Then he drove us to our friend house and back, cooked me dinner and put me to bed. Him playing Mummy and I was naturally Theo. That's a beautiful photo. I remember the thrill when I was younger of being allowed to do the gears or, even better, sitting on my mum or dad's lap and steering along the beach. 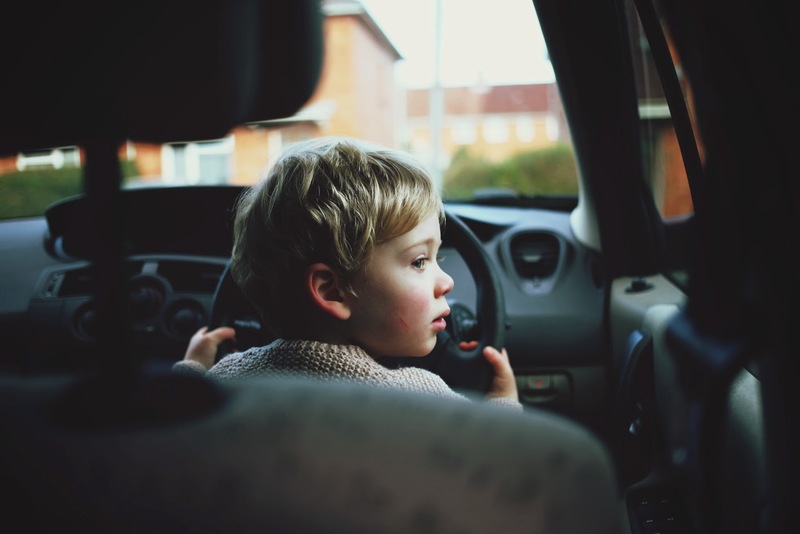 Great capture - kids love playing with the steering wheel in the car don't they.